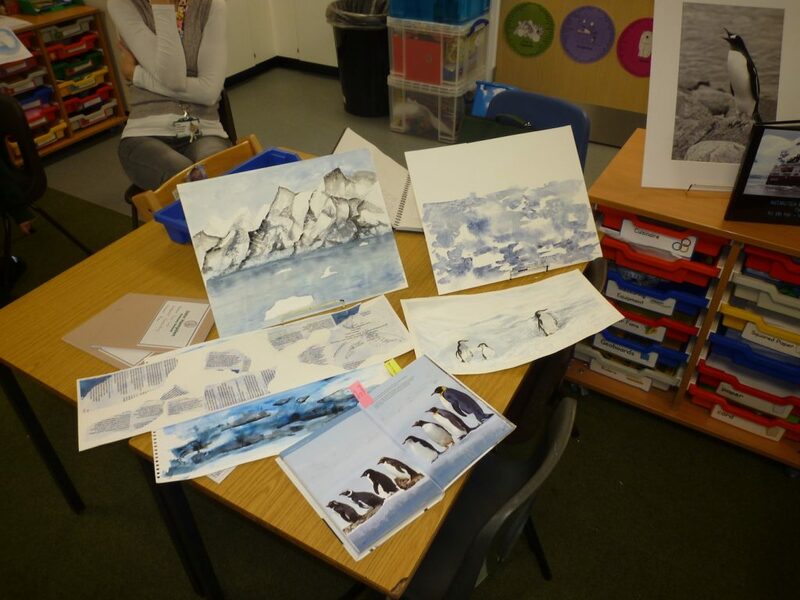 This term Year 2 are learning about Antarctica. 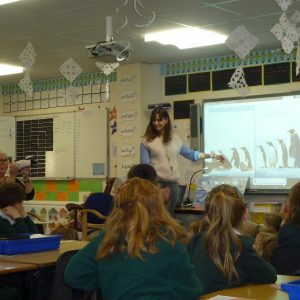 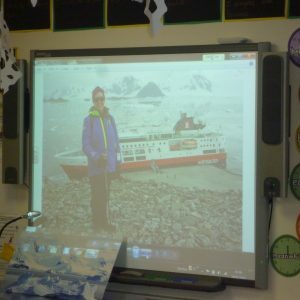 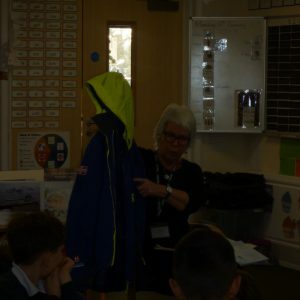 By a stroke of luck, we were very pleased to receive a visit from Stanley Rice’s nanny who came to JHS to talk about her expedition to Antarctica in February 2017. 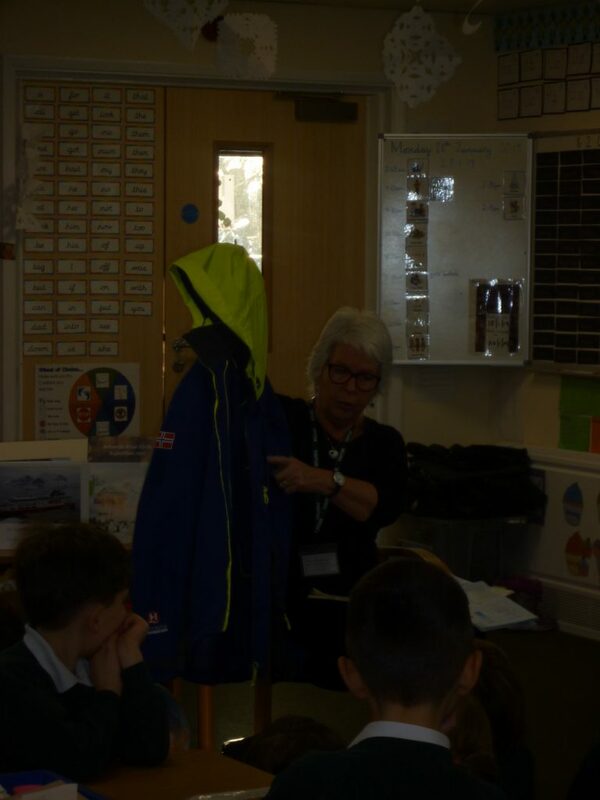 Mrs Rice captivated the children as she spoke about her adventure to the Southern Hemisphere and shared many photos of her experience. 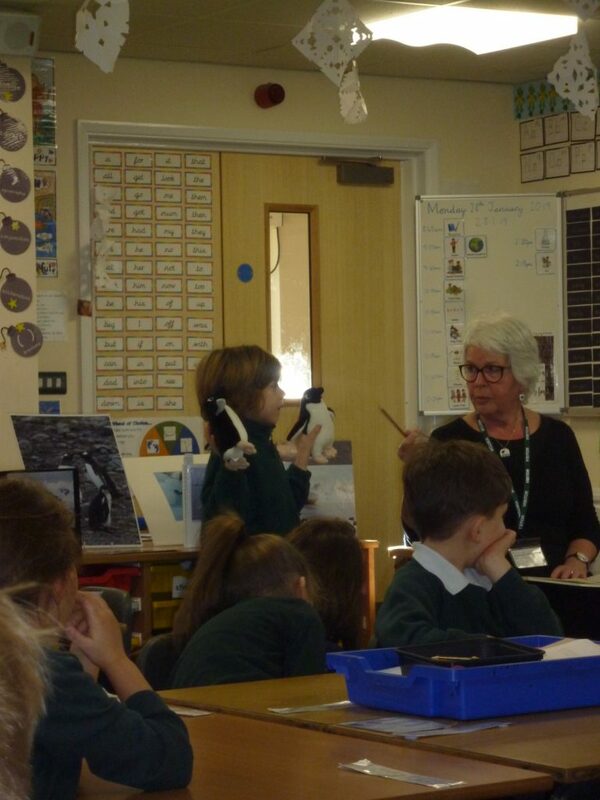 As the children have been focusing on penguins and Antarctica in their current topic, it was extremely exciting to be able to talk to Mrs Rice to gain a greater understanding of what it is like for the various animals that live in such a harsh habitat. 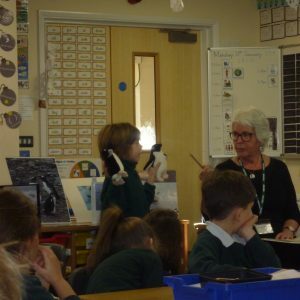 The children were also keen to find out more about how people protect an area of such natural outstanding beauty in order to preserve it for future generations. 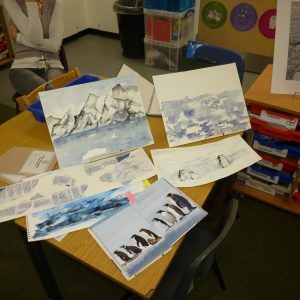 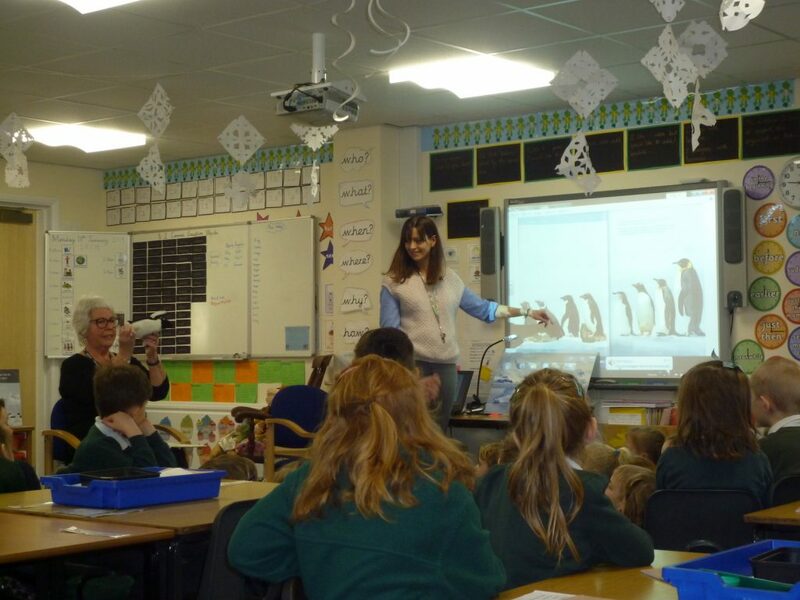 During her time with us, Mrs Rice, who is an artist, shared her techniques and ideas for painting such beautiful scenery and even gave each of the children a gift of a penguin print which she painted. 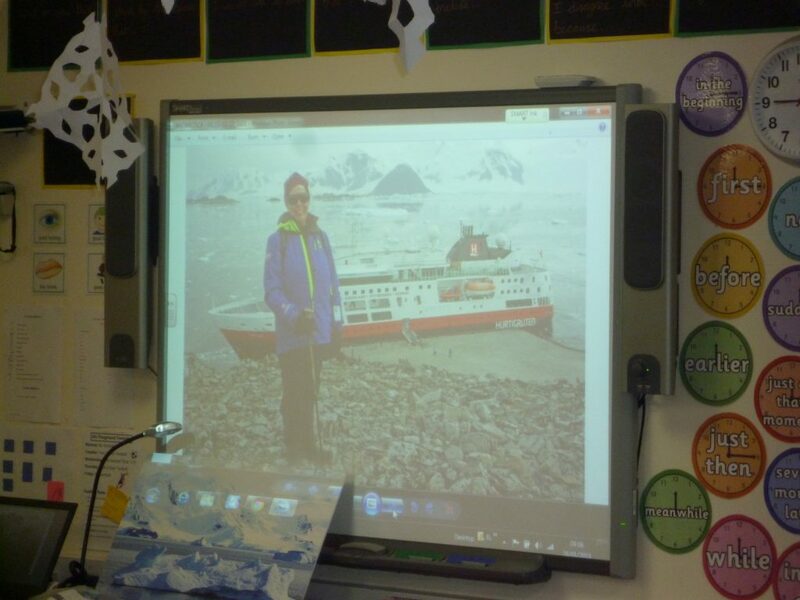 Let’s hope we can encourage Mrs Rice to visit the school again when she has visited the Arctic later this year!